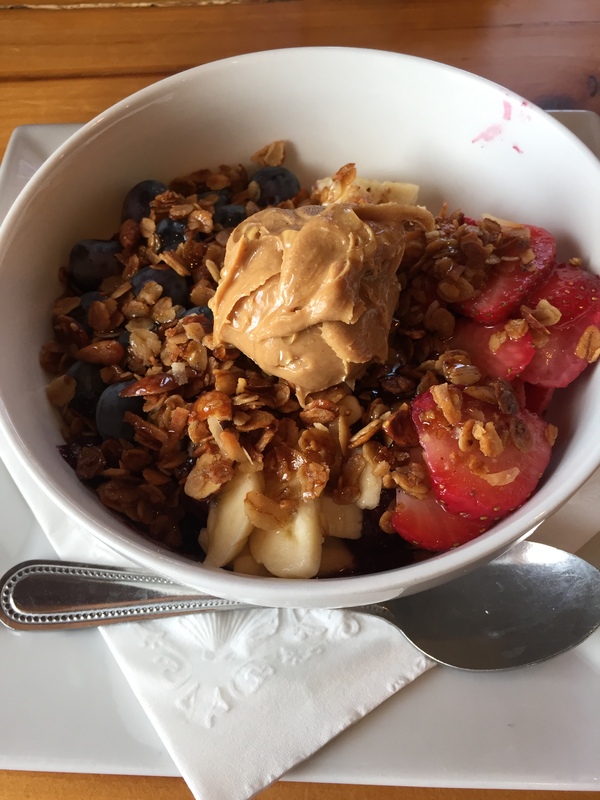 Acai bowls — a thick fruit smoothie in a bowl, topped with fruit, peanut butter, oats, and a honey or agave nectar glaze — have become the hype lately. I never even heard of them until everyone and their mom started talking, tweeting, and Facebooking about them. So, after discovering what they are, I made it my mission to try one; and, where else would I go then my favorite coffee shop on this planet: Charlotte’s Coffee House on the corner of White Street and 11th Street in Dubuque, Iowa. This coffee shop is welcoming, cozy, and aesthetically pleasing. Also, I heard they have the best acai bowls in the area. What more could I ask for? Luckily for me, I already knocked this off my summer bucket list last Saturday. 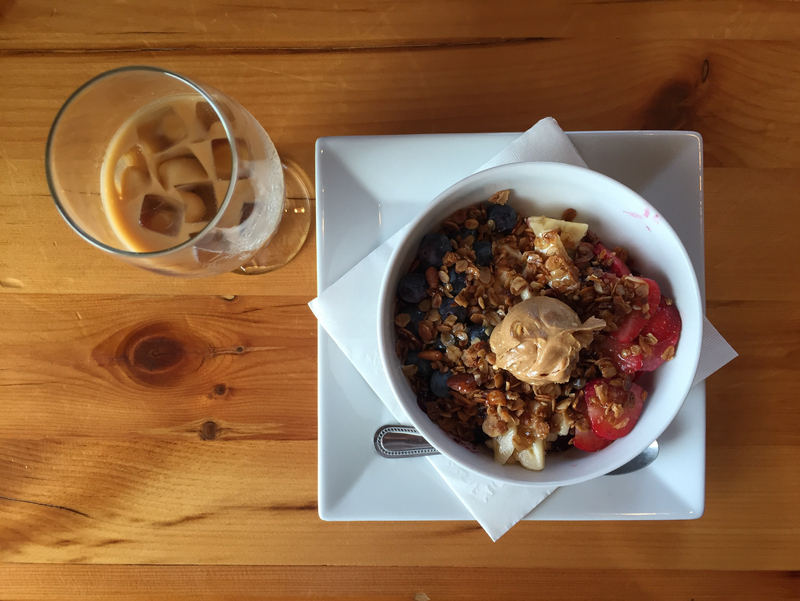 A buddy of mine and I met up for breakfast and to talk about life, and I had a delicious cup of cold-brew coffee and a beautiful acai bowl. Oh, it was heaven; 10/10 would recommend to anyone. They also make for some pretty neat photos. Not many people know this about me, but I am a huge baseball fan. In fact, I played baseball all throughout elementary school and for three years in high school. Nevertheless, as any other baseball fan and ex-player, I love to visit baseball stadiums and watch live baseball. Now, I have been able to watch three games at Miller Park, tour Busch Stadium, and even play in the Metrodome for high school baseball, but I have never been to Wrigley Field. As a future Chicagoan (in exactly one year, might I add! ), I feel like this is a must-do. All I need is an ice-cold beer, a Chicago dog with extra everything, and some baseball to make me feel at home. I have made it my number one goal to visit Wrigley Field this summer. Well, as this post goes public, I can happily say I am in the process of purchasing my ticket to see the Cubs play at the beginning of July. So, in less than one month I can check this off the list too! I am in love with wine. Well, only white wines and sweet red wines, none of that dry stuff. Fortunately, there is an upscale winery in Dubuque, Iowa, and all my friends and I love going to Stone Cliff Winery and tasting the delectable wines they have for $5. With it being close to my apartment and so cheap, it won’t be too tough to make an appearance or two there this summer. Don’t tell me you never heard of a pizza pot pie?! Click this link right now and check it out. I promise you will not be disappointed. Heck, you might even add this to your own bucket list. A pizza pot pie is a gift from God, and I will devour one before the summer is out. Sadly, this may have to wait until August when I visit some pals of mine, but it will happen nonetheless. You know what, I may even buy two and eat them both… who knows. Since this is a summer bucket list, I have to have something about visiting a lake, right? It is kind of a requirement. Normally I would just go to Lake Joy in Belmont, Wisconsin, but my roommate’s girlfriend has a lake house in Lake Geneva, Wisconsin, and her family is more than happy to host us for a weekend. Without a doubt, we all will spend a weekend or two up there boating, jet skiing, and enjoying adult beverages. I cannot wait to have a Summer Shandy on their boat; there is nothing better in life than a boat rocking under your feet while drinking something lemony and sweet. I sure am looking forward to completing this one. Last summer I started a novel by Elizabeth Kostova titled The Historian. It is a detective fiction/mystery about a graduate history student who receives a mysterious book that implies Dracula is still alive. Once he begins to investigate this, strange events begin to occur to himself and those around him. That is all I will say on it, but I definitely recommend it. I, unfortunately, did not have the time to finish it last summer, but now since summer has — thankfully — returned, I can! I only have about 300 pages left, which is a walk in the park for an English major. I have been obsessed with visiting art museums since I was a freshman in high school. There is just something emotionally stimulating and inspiring about observing others’ creative works and their reasons for their masterpieces. Dubuque has a small art museum downtown which I intend on visiting, but where I really want to go is the Art Institute of Chicago. I was fortunate enough to have a field trip here for my freshman year ceramics class in high school (which sparked my love for art museums), and I have not been able to go back since. The art museum has some fascinating exhibits on display; truly, the medieval suits of armor are remarkable and “A Sunday Afternoon on the Island of La Grande Jatte” is something to behold. While it is pricey for admission, I know it is worth it because you get much more bang for your buck. There you have it, folks. My 2017 summer bucket list. It is still rather short and not too extravagant or impressive. However, I intend on adding to it as the months go on, and, hopefully, I can complete every one by the middle of August. This is going to be one eventful summer because it is the last one before I am off to begin my adult life. Time to make some unforgettable memories with the best of friends.